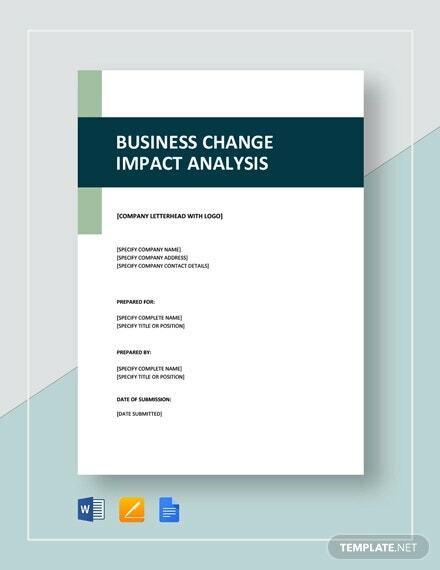 Impact Analysis template is essentially used for business purposes where the companies analyze their overall business activities and their impact on success or failures. 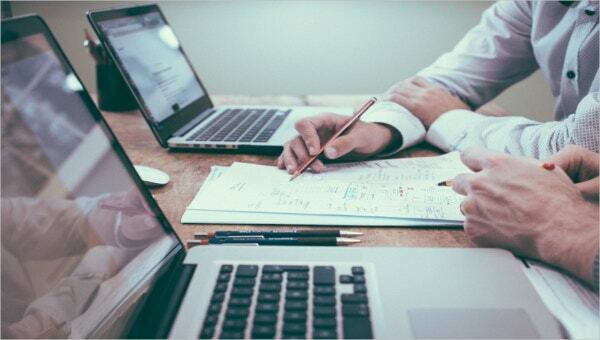 These templates have been designed to represent the details such as business vulnerabilities, underlines the important business activities and components, suggestions to save cost and other details in order to provide a deep understanding of business activities, risks, and failures. 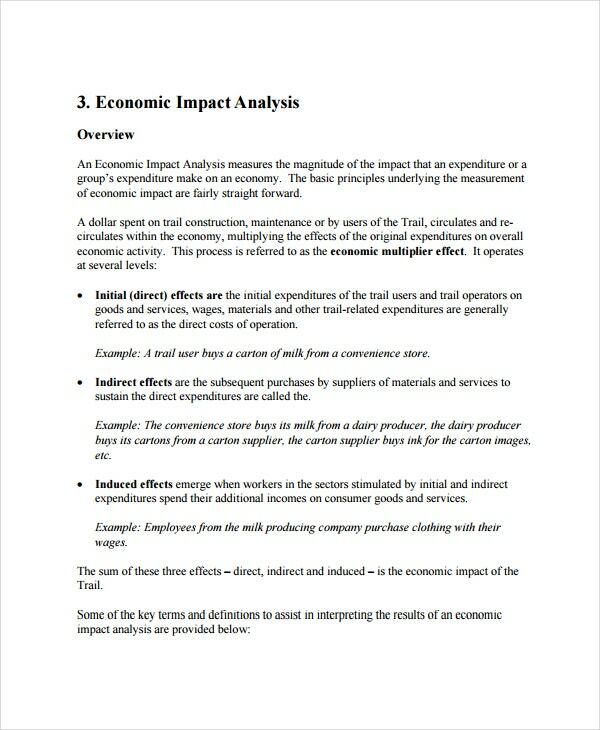 Here is the list of top business impact analysis template available online. You may also see SWOT Analysis Template. 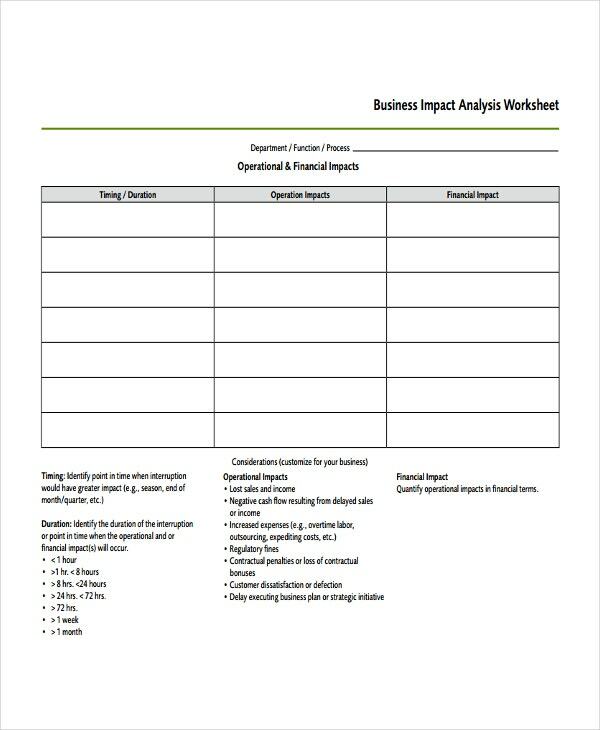 This is a basic yet detailed template that is suited for analysing the business impact of any system. The template has a blue and white colour with the text in blue. 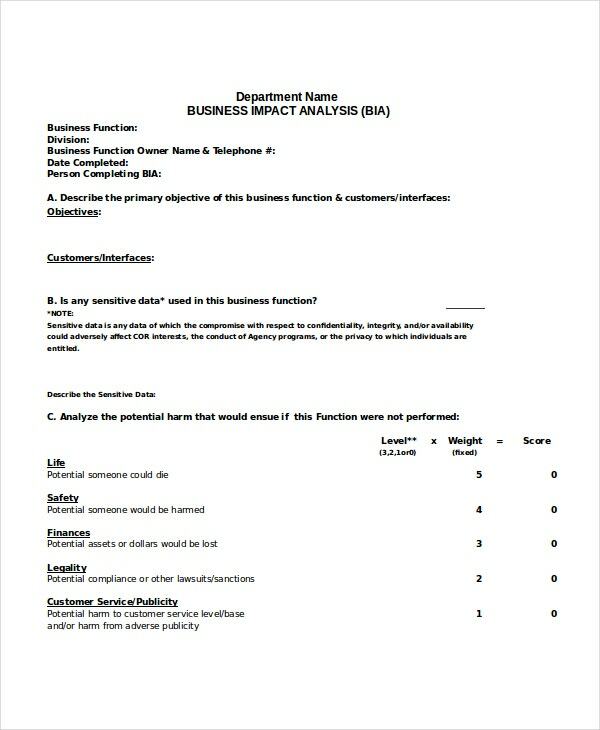 The template covers all important details of Business Impact Analysis Templates and can be edited to include information as per user preference. This template has been designed in MS Word and can be filled and edited according to user preference. 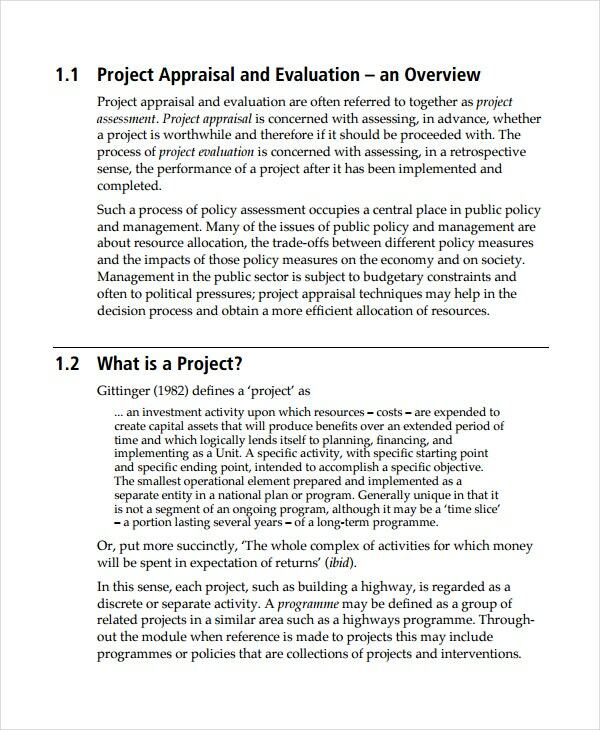 The template covers objective, policy, scope, business impact analysis score and business impact analysis questionnaire. This template has blanks where the user can fill the appropriate information. 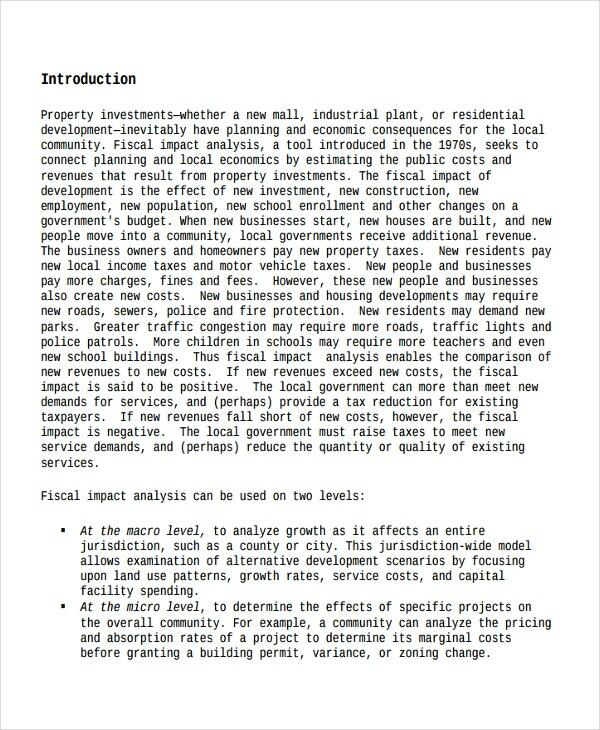 You may also see Cash Flow Analysis Templates. 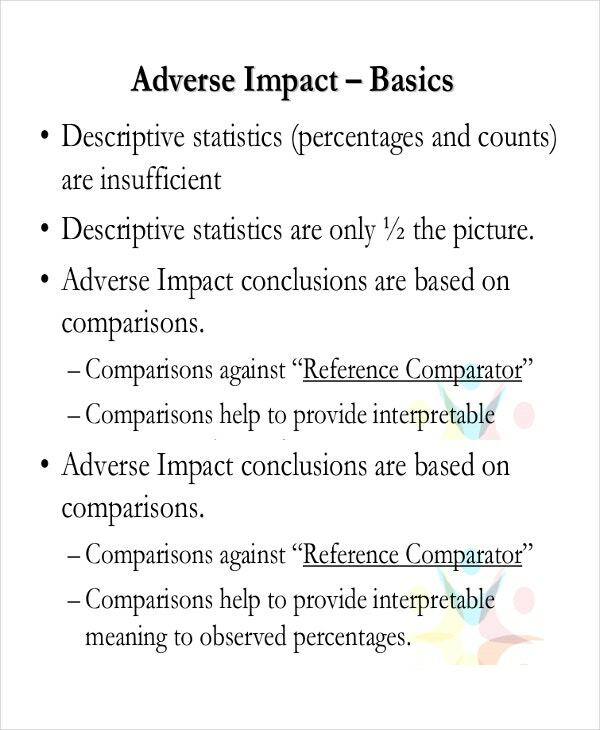 This impact analysis template Excel format is simple yet effective. The template is available in excel format which can be modified according to the user preference. 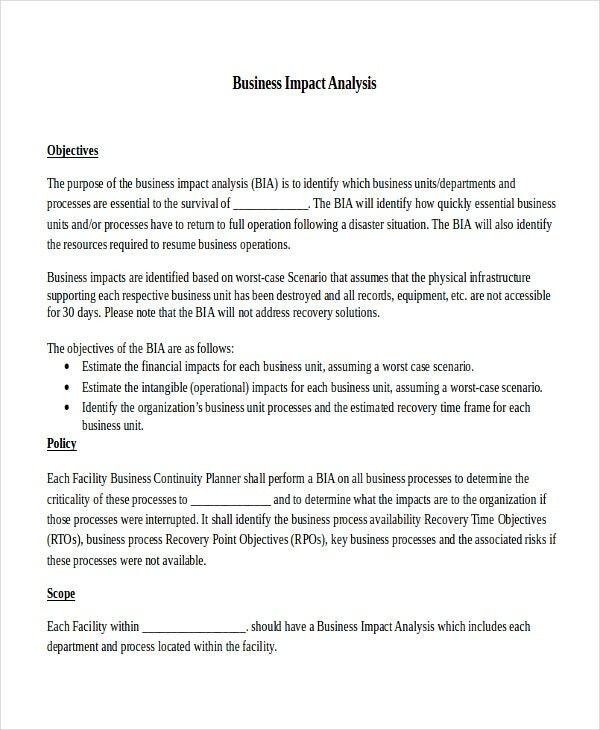 The template has five worksheets that cover topics such as BIA introduction, BIA per function instructions, BIA Overall Instructions, BIA per function and BIA overall. You may also see Risk Analysis Template. 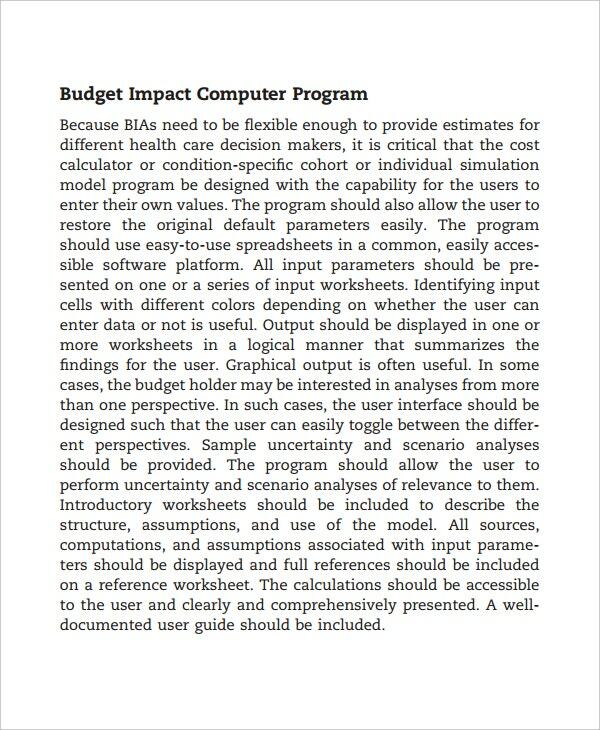 This is a simple impact analysis tool that covers important details of BIA in simple text and colour. The template is in the form of modules and can be easily modified. 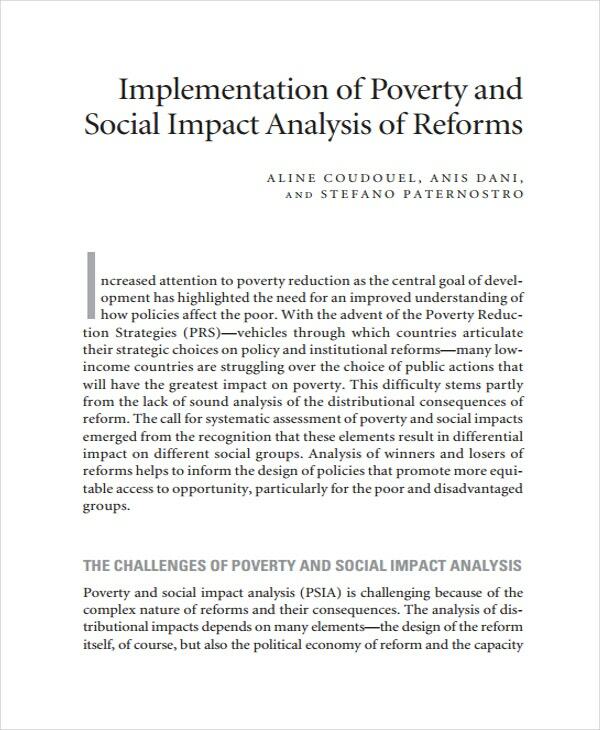 This is a vibrant and impressive template that covers all the details of adverse impact analysis. Available in PDF format, this template covers flow charts, pie charts etc for better understanding. 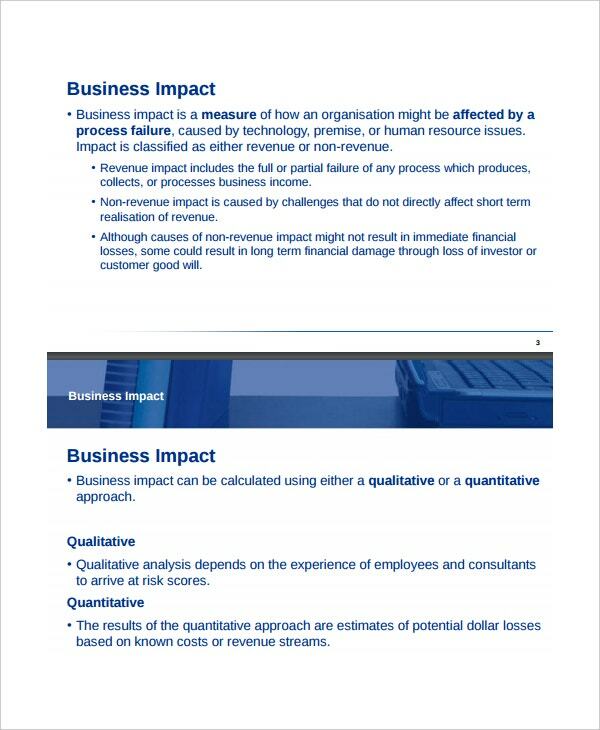 Business impact analysis is a comprehensive evaluation of impact on crucial business operations at the time of emergencies, disaster or accidents. Business impact analysis is a process by which an organisation analysis its functions and activities which include networks, facilities, information system, data etc. 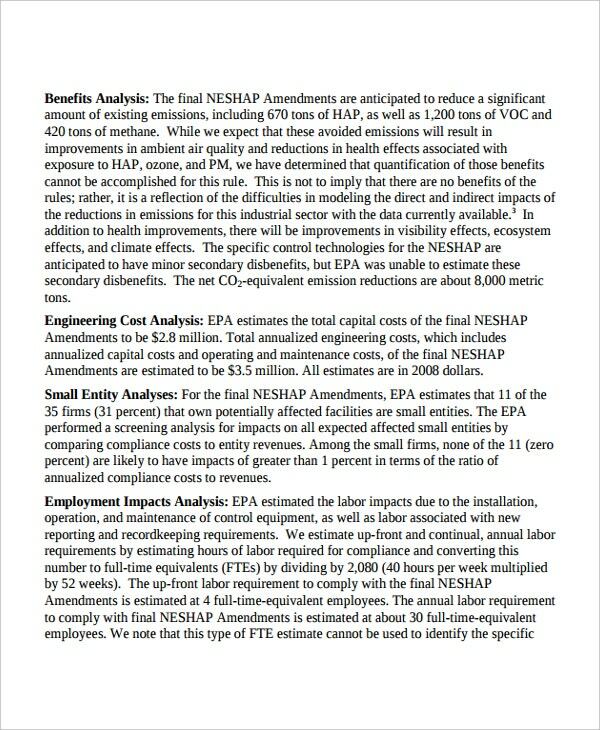 You may also see Cost Analysis Template.